Successful trainer Helen Page introduced another All Too Hard with a touch of class at the Gold Coast on Saturday. Her first-starter Too Easy Bro jumped straight to the front and ran a field of well-bred youngsters off their legs over 1100 metres. He was never headed to win by a length from Francisca (Lope De Vega) & Rocky Gamble (Casino Prince). All Too Hard is finishing his freshman season with a flourish. 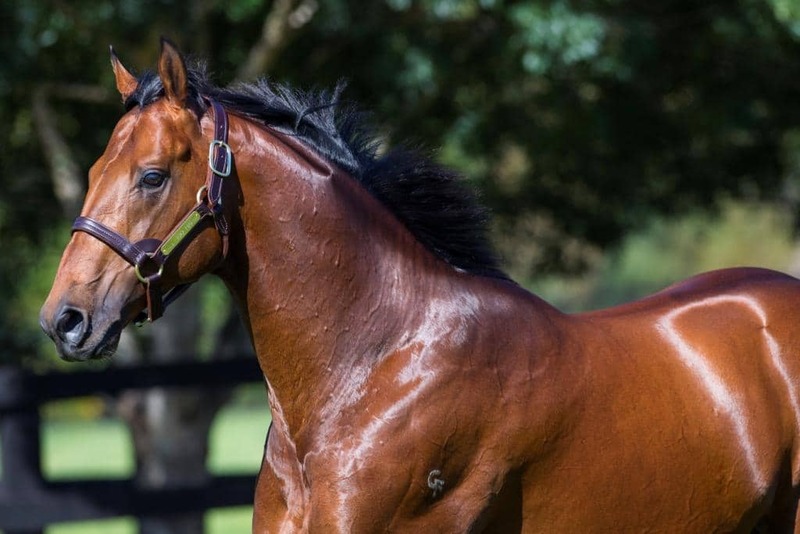 The Vinery champion has sired 9 individual winners this season with 4 of them saluting in the last fortnight. “We’re very, very happy with Too Easy Bro,” Page said. “He’s shown ability at home and is starting to put it all together. He has amazing speed from the barrier and I told Luke (Rolls) to utilize it today. Too Easy Bro was eager to go faster around his home track first-up in the Titans Raceday Maiden. Rolls looked over his shoulder for a danger before the newcomer lengthened into his gear over the final furlong. Page paid $200,000 for the winner at the 2016 Magic Millions National Yearling Sale. His dam Ashenti (Ashkalani) won a couple of Melbourne sprints for Robert Smerdon and she was also placed in the Edward Manifold Stakes-Gr.2 at Flemington. Sold for a bargain $45,000 off the track to Gerry Harvey, Ashenti foaled Riva De Lago first-up to win the Theo Marks Stakes-Gr.2. She delivered an All Too Hard filly last year and was bred back to Vinery new-boy Press Statement. All Too Hard stands for a $44,000 (inc gst) at Vinery and he sired another promising first-starter at Rosehill on Saturday. The David Payne-trained All Too Soon motored home from last to finish fourth in the race won by Hualalai at Rosehill.